Axis LMS is easier to use and more secure. The mobile user interface is undeniably the most tangible example of an improved easy to use user experience. 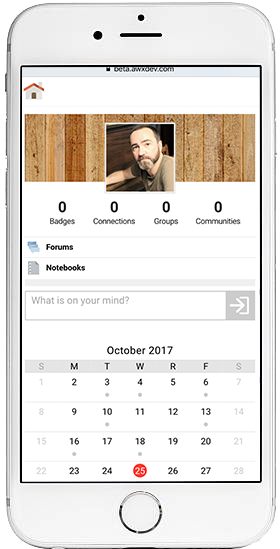 Each element was redesigned individually with a drive to make it simple and intuitive for the user; by taking advantage of habits mobile users are already developed we were able to create something that feels so natural to the user, they may forget they can still take training on a desktop. 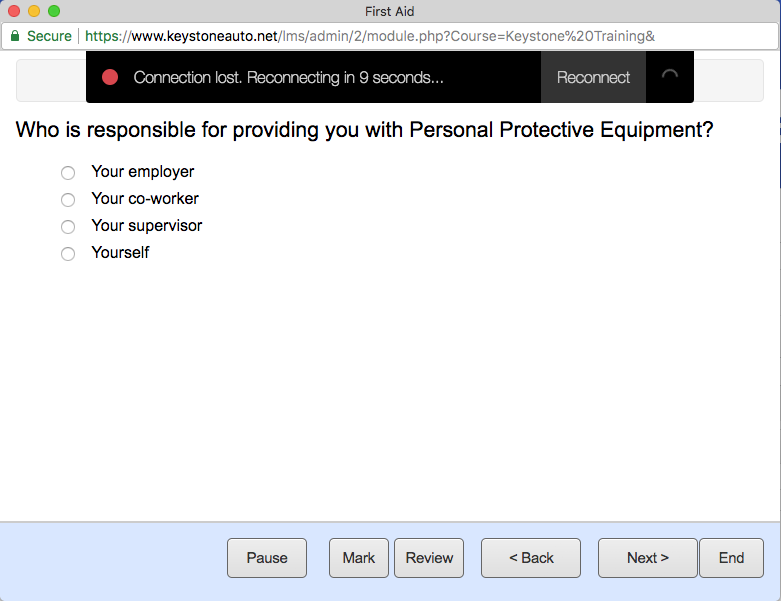 Now users are can comfortably take their online training on the move. 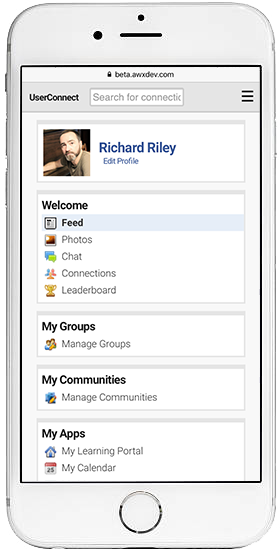 Designing for mobile had the added benefit of helping us improve the desktop user interface. 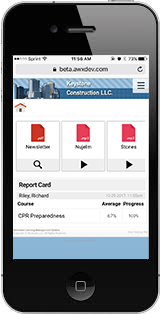 Specifically, Mobile view’s requirement for a condensed user interface ushered in the need for a slide-in navigation style, that we were later able to implement into the desktop view for both Course and Learning Portal options. This navigation style serves the same purpose as the other navigation options -tab and bar- but unlike them, it’s not a permanent fixture on the valuable user interface. When a user loses connection to the system mid-quiz, Axis has no way to collect the quiz results from that user. To address this, a new mechanism was added to learning objects which keeps a constant tab on whether or not the user has a stable connection. If a user loses their connection to the system, they get an instant notification of this, and Axis LMS will notify them when their internet connection is restored. With this connectivity checker the result is a more interactive quizzing atmosphere for both mobile and desktop users, and more reliable reports for the admin. In addition to the easy-to-use user experience, Axis LMS has strengthened the security behind accessing a user’s logged in state. The most interactive example of this is the user’s password recovery. Axis LMS now treats passwords with an extreme reverence, fortifying the methods passwords can be recovered through, while also distancing the administrator from having to intervene. Once a user has changed their password, their new password will never be sent, seen, or displayed anywhere. This means that when a user goes to recover their password, they will receive the means to reset their password, but will never see their old password. While users are gaining more tools than ever, Axis LMS v10.5 doesn’t require any Axis LMS admins to get their hands dirty to take advantage of them. 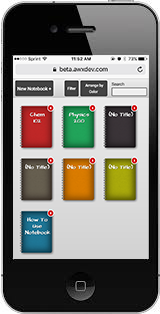 Users accessing their courses from their phones will automatically be placed into a mobile mode, and be able to experience the slide in navigation and simplified interface. Regardless of the device they’re being accessed from, the quiz trackers help ensure that your users always know their connectivity state. This entry was posted on Wednesday, October 25th, 2017 at 10:10 am	and is filed under ELearning 101. Responses are currently closed, but you can trackback from your own site.